Express style service that includes cuticle grooming and application of nail color. Luxurious service that includes an extended relaxing massage, cuticle grooming and application of nail color. Manicure includes paraffin hand treatment; pedicure includes callus work. Specifically designed for men; includes cuticle grooming. The pedicure that includes callus work and a relaxing massage. Spa pedicure with extended callus work for feet that need extra attention. 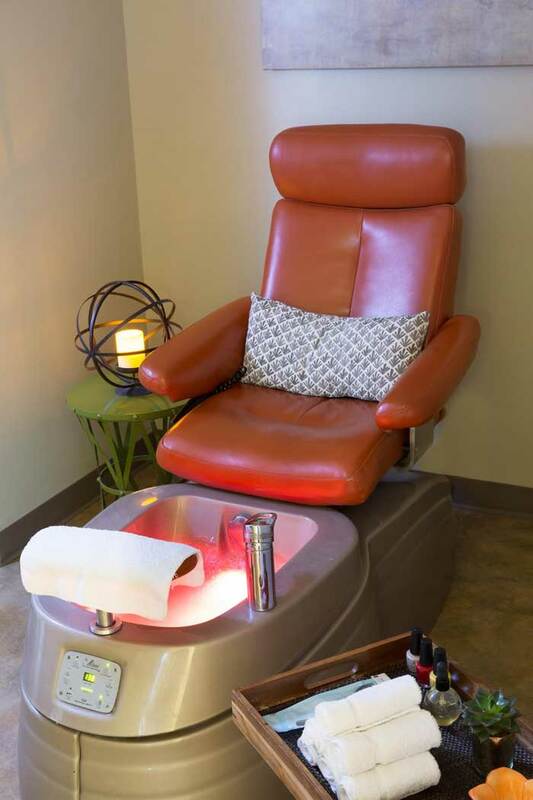 Includes an extended relaxing massage, cuticle grooming and application of nail color. Pure spa offers acrylic and silk nails to clients wanting longer nails.